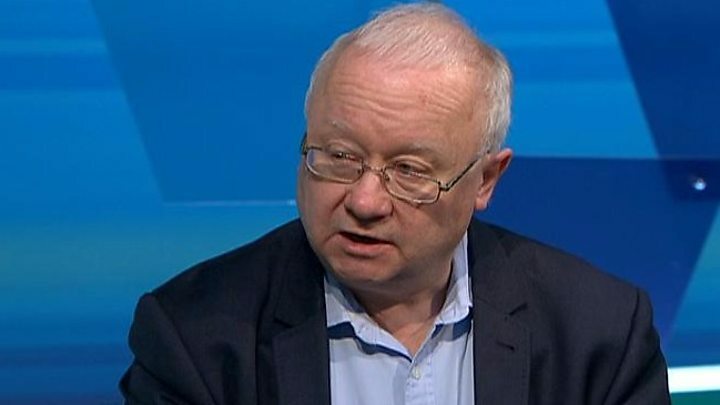 A former Welsh Government minister has alleged there was a bullying culture during his time in cabinet that First Minister Carwyn Jones was aware of but "nothing was done". Leighton Andrews described a "toxic" atmosphere and said Carl Sargeant had been the target of some bullying.Mr Jones is set to explain to Labour AMs how he handled allegations against Mr Sargeant of inappropriate behaviour.Mr Sargeant was sacked on Friday and found dead four days later.It is understood he took his own life, days after Mr Jones dismissed him as communities secretary following claims made about the AM for Alyn and Deeside to the first minister's office. Mr Sargeant had vowed to clear his name but said he did not know the details of the allegations.Mr Andrews - who alleged "minor bullying" and "mind games" during his time in government - said "the undermining was of ministers, deputy ministers and special advisers".Former local government minister Mr Andrews said he raised one particular issue with Mr Jones, of which he had direct evidence, but claimed due process was not followed.The Welsh Government has declined to respond to Mr Andrews' statement. Mr Jones is due to make a statement following a meeting with Labour AMs at the Senedd in Cardiff Bay on Thursday.There has been criticism of the way Mr Sargeant was treated and his family have called for an inquiry. Mr Andrews was sacked by Mr Jones from the education brief in 2013 before returning to the front benches as public services minister in 2014.In his statement, Mr Andrews said: "I found that the atmosphere was unquestionably worse after I returned to government in September 2014 than it had been in the period May 2011- June 2013. "Carl was unquestionably the target of some of this behaviour. The relentless drip-drip of disinformation - and worse - had a strain on his and others' mental health. "The first minister was made aware of this by several ministers, including myself. Nothing was done," he added. Family friend and political consultant Daran Hill said on Twitter there was "disbelief" in Mr Sargeant's home town of Connah's Quay, Flintshire, "that the first minister is explaining his side of events to AMs without offering any explanation to the public or the devastated family".Previous comments by Mr Andrews - and other Labour politicians both privately and publicly - had already increased the pressure on Mr Jones.Mr Andrews had said he and many others were "angry" the first minister commented on the allegations in TV interviews on Monday. Leighton Andrews said the allegations should have been dealt with "behind closed doors"
He told BBC One's Wales Live programme on Wednesday: "Having passed this over on Friday to the Labour Party, on Monday the first minister is doing interviews with the BBC and I think with ITV as well in which he is elaborating on the story and commenting on the story. "Well, that is not due process. "People do not think Carl Sargeant has been treated fairly. "In response, a Labour Party spokesman said on Wednesday: "Following allegations brought to the attention of Welsh Labour by Welsh First Minister Carwyn Jones, an investigation was launched by the UK party. "The Labour Party Governance and legal unit spoke with Carl Sargeant and, in line with agreed procedure, outlined the nature of the allegations that had been received and how the complaints process works. "Cerys Furlong, chief executive of equality charity Chwarae Teg, said the allegations against Mr Sargeant "need to still be fully investigated in due course, as do the circumstances into his death in a way that respects the feelings of his family".